Finance Minister Piyush Goyal Thursday asked banks to meet real estate sector’s representatives within the next fortnight to discuss the sector’s issues along with indicating a relief to the sector in the upcoming goods and services tax (GST) council meeting. 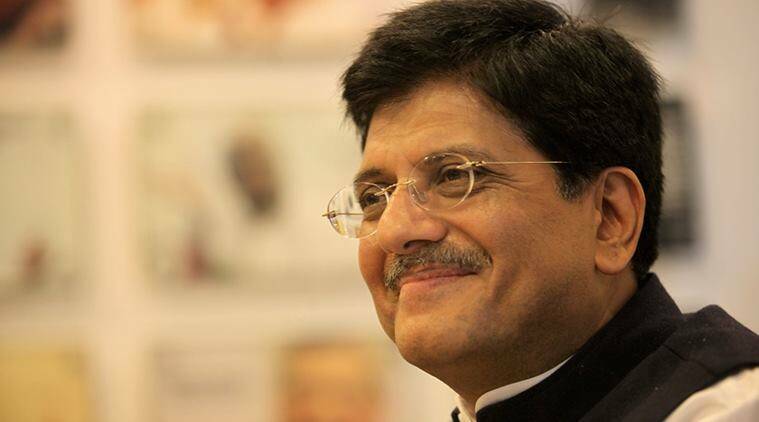 “There is a real (funding) problem (being faced by the realty sector),” Goyal said at a Credai event here, adding that banks should take some initiatives to assess projects and fast track genuine ones. He suggested that within the next 7-15 days the Indian Banks’ Association (IBA) has a meeting with the real estate players to help increase funding to the sector. Goyal further said the government has announced a number of measures in the interim Budget to push growth in real estate sector. The sector has been facing funding issues post the default on debt papers by Infrastructure Leasing & Financial Services (IL&FS), which choked lending for the sector as a whole. “Prime Minister (Narendra Modi) has had extensive discussions with your representatives…Prime Minister personally has tried to understand and in the interim Budget while we didn’t change too much, our real proposals will come in July after we will see with your blessings…but the only area we focused on was the housing sector, the affordable housing sector, we have made a few modifications…hope they will help in encouraging growth in the sector,” he said. He said the government is also reviewing the GST structure for the real estate sector. “And most importantly the Prime Minister guided us that we must re-look at the GST structure. We are having extensive discussions. In fact, the last time around we would have been able to finalize it but for some different viewpoints that came from different sectors…the final consensus by the GoM will be liked by you all and a meeting of GST Council has been called soon. I hope we will find a solution and you all will get benefit of it. Maybe some individuals will feel 1 or 2 per cent more or less, but my request to you is that you accept it when it gets ready,” he said. GST Council is likely to meet next on February 20. The Group of Ministers (GoM), under Gujarat Deputy Chief Minister Nitin Patel, set up last month to analyse tax rates and challenges being faced by the real estate sector under the GST regime is leaning in favour of lower rates for under-construction residential properties. The panel has favoured lowering the GST rate on under construction residential properties to 5 per cent (without input tax credit) from the present effective rate of 12 per cent with input tax credit (after abatement of land) and for affordable housing to 3 per cent from the current rate of 8 per cent. The renewed focus of the government on real estate and housing sector has brought into light the role of the sector in pushing economic growth and creating employment opportunities. While a series of measures were announced in the interim Budget to make home purchases attractive and to alleviate stress of developers, the GST Council is expected to take up the pending issue of tax on under construction residential properties. The effective pre-GST tax incidence on such housing property was 15-18 per cent. GST, however, is not levied on buyers of real estate properties for which completion certificate has been issued at the time of sale. There have been complaints that builders are not passing on the ITC benefit to consumers by way of reduction in price of the property after the roll-out of the GST. The government has taken measures to ensure that real estate business is done in a transparent manner. “These four years may have had some pain points, any change is difficult in the beginning, it’s not easy to reorient the way businesses are run for 40 or 50 years but I am delighted that all of you are participated in that change with enthusiasm …,” he said.